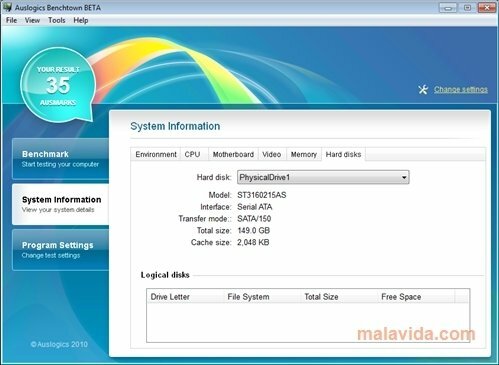 Auslogics Benchtown is a free program that allows to carry out various tests to a computer to check its performance and find out what can be improved. To manage to make a computer work as well as possible, the most important thing is to know what isn't working properly and in what regards it is worse than similar computers. 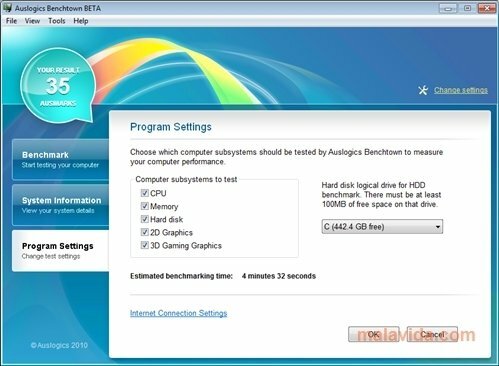 But the best thing about Auslogics Benchtown is how easy it is to use, its easy to use interface and its speed. 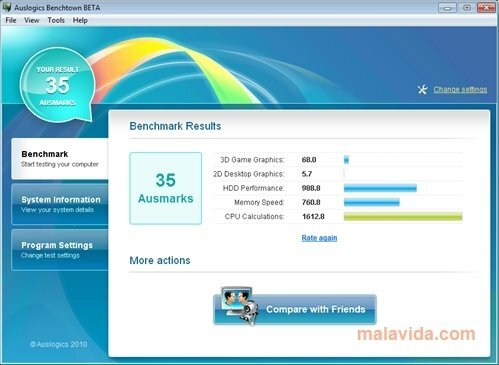 Is your computer as quick as it should be? The computer is a powerful tool to work with and that is why it is important to know if it is working at full speed. 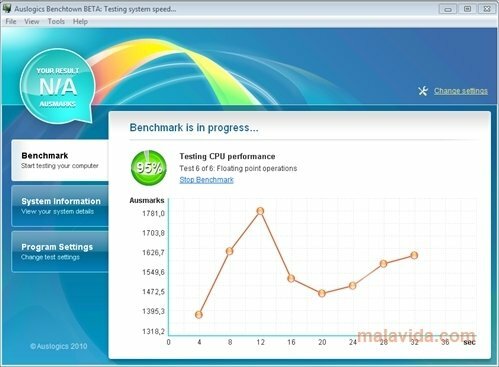 Auslogics Benchtown carries out a series of test to know which is the system's real speed and performance, to be able to compare them with other systems. Once the tests are carried out you will be able to see the results by means of comprehensive graphics and compare them with the results of the other users. What's more, Auslogics Benchtown will offer complete information about the system's features. 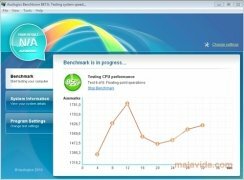 Download Auslogics Benchtown free and easily check the performance of your computer.